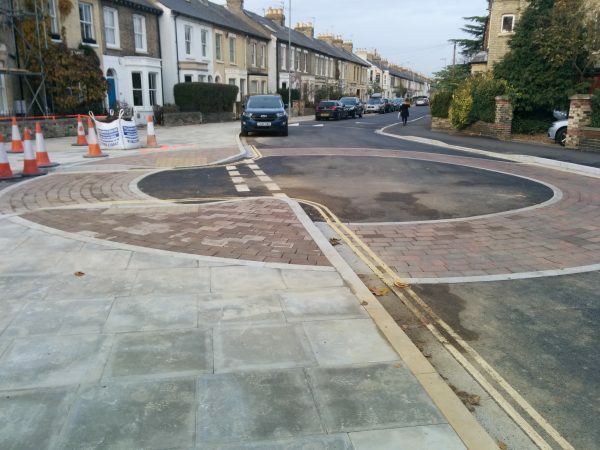 Launched last year and continuing into next year, a pilot program in London is testing the efficacy of a peculiar new traffic calming measure — one that uses tricks of perspective to slow drivers down. The flat design presents an illusory impediment to oncoming vehicles, causing drivers to anticipate a jolt that never actually materializes. Like the strange ghost roundabout that appeared around the same time in the UK, it is part of a strategy aimed at controlling speeds without the use of jarring interventions like bumps, humps and lumps. Speed tables: Low like humps, but up to ten feet deep and flat on top, further easing movement while keeping traffic to ~30 mph or less. These sometimes also serve as raised crosswalks. Traffic undulations: Variably defined, but in some cases used to denote sequential sets of speed humps along a longer street. In other cases, the term is used to describe humps or tables. 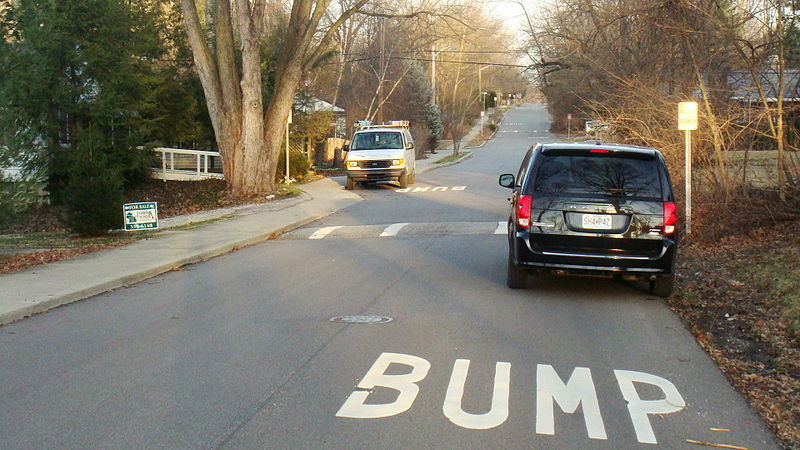 In most cities, what people call “bumps” are really humps or lumps — these are often just lumped together in everyday language. For a neat infographic and short radio story on these types, check out Sacramento Traffic ‘Calming’ Takes Many Forms on Capital Public Radio. Keep in mind, though, that the definitions they use are city-specific. Speed bumps, while useful, can increase noise in a neighborhood thanks to cars slowing down and speeding up. They can also cause discomfort for drivers and passengers and impede emergency vehicles. 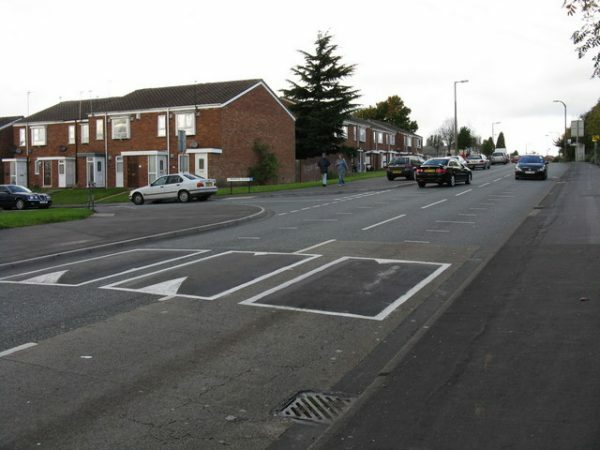 Speed humps are a bit smoother, addressing noise and discomfort. Speed lumps help emergency vehicles by creating space between each hump specifically designed to let them pass through the gaps. So training drivers to ignore children in the road, eh? Genius. Sounds like something a coyote would do to try to catch a roadrunner. I don’t understand the British obsession with distracting their drivers. Anyone else catch this? : “Speed tables: Low like humps, but up to ten feet deep and flat on top” is it really 10 feet or did they mean inches? Feet. In the list ‘tall’ refers to height and ‘deep’ refers to length, or: distance parallel to the road (while ‘width’ is an unlisted variable as it depends on the width of the lane and parking on the sides). Since the tables example doesn’t explicitly list the height I can see how it would be confusing in isolation.